New year, same family! The Kardashian clan is back for season 16 of Keeping Up With the Kardashians — and the drama is as hot as ever. 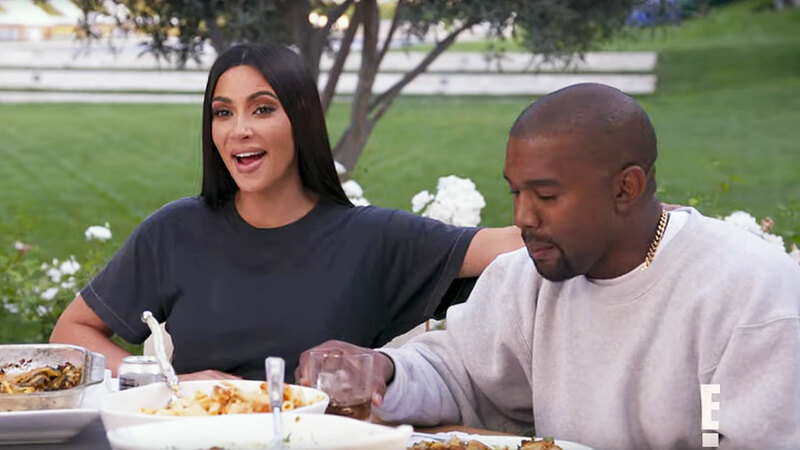 Kim Kardashian and Kanye West in the new trailer for ‘Keeping Up With The Kardashians. The happiness quickly fades as the trailer cuts to Kardashian, 38, talking on the phone and telling someone, “Kanye’s friends always publicly talk s—t about him,” before it flashes to her in the car with the 41-year-old rapper. “I don’t got love,” she asserts, staring at her husband with wide eyes. However, Kimye aren’t the only ones with dramatic storylines on the 16th season of the E! reality series. Khloé Kardashian seemingly gets upset with Kourtney Kardashian, Kim and Disick, 35, while they’re eating a meal together. “I could be selfish and spend all the time with me and my daughter,” the Strong Looks Better Naked author, 34, yells. “I don’t even have to be here.” Kourtney, 39, wasn’t phased by her sister’s outburst and couldn’t hold back a smile as Khloé stormed away from the table. Keeping Up With the Kardashians season 16 will premiere on Sunday, March 31, at 9 p.m. ET on E!.